In my view the Maltese bishops have effectively invited the Catholics entrusted to them (lay faithful and clergy alike!) to commit a number of objectively gravely evil acts. The bishops of Malta, in a document that can only be called disastrous, repeatedly invoking Pope Francis’ Amoris laetitia, have directly approved divorced and remarried Catholics taking holy Communion provided they feel “at peace with God”. 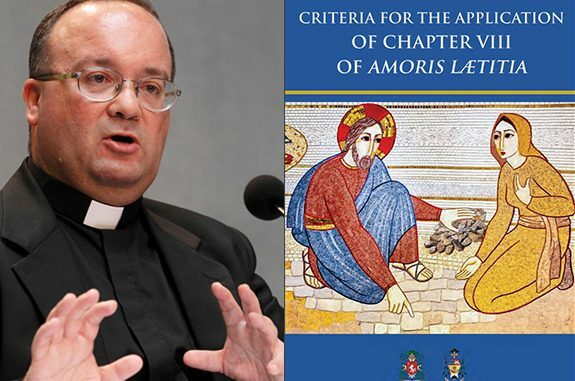 Unlike, say, the Argentine document on Amoris which, one could argue, left just enough room for an orthodox reading, however widely it also left the doors open for abuse by others, the Maltese bishops in their document come straight out and say it: holy Communion is for any Catholic who feels “at peace with God” and the Church’s ministers may not say “No” to such requests. In my view the Maltese bishops have effectively invited the Catholics entrusted to them (lay faithful and clergy alike!) to commit a number of objectively gravely evil acts. That their document was, moreover, published in L’Osservatore Romano, exacerbates matters for it deprives Vatican representatives of the ‘plausible deniability’ that they could have claimed (and might soon enough wish they could claim), as it becomes known that the Maltese bishops went beyond what even Amoris, if interpreted narrowly, seemed to permit.